“It is all about what you want to take from the experience”, a tete-a-tete with Sushma Medikonda on her experience at IESEG School of Management, France. Championing the cause of management education with an international outlook, XIMB-XUB through its International Relations Committee has consciously worked towards creating a unique learning experience exposing its student community to diversified culture by facilitating student exchange programs in partner universities thus growing and maintaining relationships. 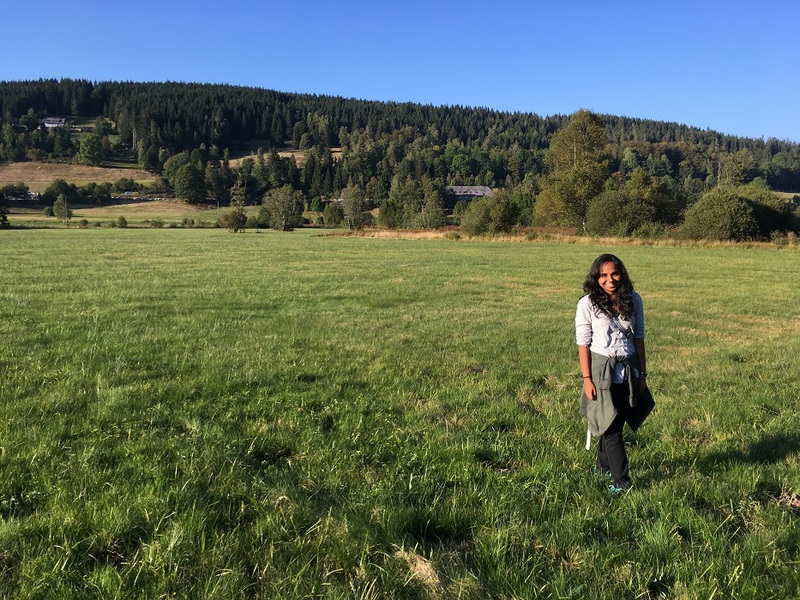 We had a small conversation with a final year student, Sushma Medikonda, where she shares her experience at IESEG School of Management, France. So tell me something about yourself, Sushma! I was born in Hyderabad, but we shifted to Jakarta when I was 5. I grew up there, my entire schooling was there, I shifted back to India for my graduation. I did Mechanical Engineering and then worked with Cummins India Ltd, Pune for about two years. Presently pursuing MBA in Human Resource Management. What motivated you to opt for the student exchange program? I wanted to do my masters abroad, but for some reason, it was not possible then. So this was an opportunity I did not want to miss. Other than the chance to see a majority of Europe, it was a chance to meet and hang out and get exposed to so many different types of people and cultures. This became my main motivation. What was the reason for choosing the university you went to? Out of the universities that had an affiliation with Xavier Institute of Management Bhubaneswar, IESEG School of Management had the widest array of courses. I wanted to take courses that are not only pertaining to HR, and IESEG offered that. In addition to this, IESEG had extensive and intensive courses, which gave me an option to study for a week or two and have an entire week off for travelling. How different was it coping with the curriculum there and what were the challenges you faced? Each course I had taken had a different pedagogy and evaluation system. Coping was not very difficult, but I think the slight challenge was sometimes working with people from different cultures as there were some communication gaps. How was your experience during the entire tenure of the program? The experience was simply AMAZING. All that I had expected and wanted. Saw beautiful places, got lost in the grand architecture of the churches and parliaments and bridges, and enjoy all the colours of fall. There was one thing I wish I had done differently, that would be the number of courses I had taken and the interaction I had with the professors. Anything specific which you found different or unconventional during your entire trip? Something different from how things work in India? One thing I noticed, which I have always heard, was the extent to which the children start living independently. The family structure and life choices and how the society affects these dynamics in one’s life. Another interesting thing was the mean age of the students. I had people in my classes who were 40 and pursuing their masters, which is something we would not notice here in India. And surprisingly, I think I had more fun working with former American military personnel. How would you describe your entire journey of three months to all the aspiring students who want to opt for such a program in future? It is all about what you want to take from the experience. For the amount of money you are spending, you have to decide how much time and energy you want to spend on which aspect. Some people may choose travel cheap and avail the student discounts, other may choose to take advantage of the wide array of courses that can be taken, some may want to capitalise on the opportunity to meet and engage with people from different places. Thank You, Sushma! We wish You All the best for your future endeavours! !